Few things burn quite so hot as young love. Few things claw at you quite as painfully as young heartbreak. Karessa spent her days and nights in her room. Crying, mostly. Sobbing. Howling. Thrashing. Bleeding out as tendrils of despair tore at her heart. Screaming his name into a pillow like a cry for help into a void in which she dwelled alone. She hated him. She missed him. She wanted him back. She wanted him dead. She wanted to die. Imagine you are in a room. Most of the details of the room do not matter. Maybe it has a poster of your favorite band. Maybe it has a bookshelf of all the books you read as a child. Most likely, it is boring, and empty. You are in the center of the room, which has a radius of five miles. Around the perimeter of the room is a fuse, which has just been lit. Along the wall are a number of threads, and a number of candles. These threads and candles are always presented as a pair, and there are thousands of them. Maybe a million. As the fire travels along the fuse, imagine it reaching the first thread, which is very close to it, because the pairs are closer together at the beginning of the room and spaced out more and more until the final wall only has fifty or so. When the fuse reaches its end, you will feel fine, and you can leave. When the fire reaches the first thread imagine it simultaneously destroying the thread and lighting a candle. The fire burns the wick and the candle begins to melt. A blade attached to the thread falls directly on top of you and severs you in two, but you live. Imagine that. Imagine also that when the candle melts in its entirety, you feel the biting cold of that flame’s death. You feel the knowledge that there was once heat, and now it is gone. That heat, which is only a little heat, leaves you as well. Imagine this repeating a hundred thousand times, perhaps a million. Until you are mincemeat, and unbearably cold. As the fuse nears its end, there is more space between punishments, and you have more time to adjust to your frozen, bleeding state before it becomes more frozen and more bleeding, but still it continues. And now imagine that a spell has been cast on the room, and time moves a hundredth of its normal speed. That is how time passed for Karessa. But still. Time passed. When our story resumes, she is perhaps midway through the second wall. She’s grown a bit numb to the whole thing, but the pangs still come. The stabbing. And the cold. She’s dropped out of the play, opting only to work as a stage hand once more. She hardly speaks to her mother, who is the same as ever. Mostly she works at Odd & Ends, where even Nestor Pinkly has turned cold toward her, in his own way, and she walks home. She reads many plays, and a few books, while she is bored. They do not make her much happier, but they pass the time, and later in life, she will be glad she read them. She also consumes a small share of narcotics during this time, while she is bored. They do make her a bit happier, but only a bit, and she thinks about her mother, and she stops. A month passes, and it is the first day of autumn. 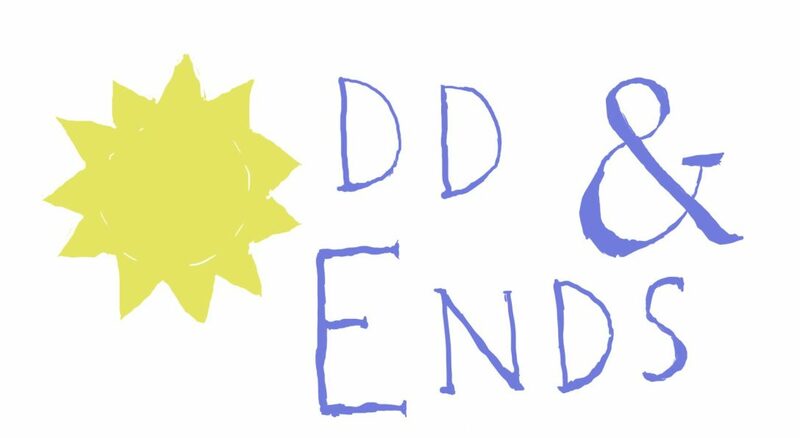 Odd & Ends is having a big sale. Karessa only works in the morning while they prepare, and she suspects this is because she is sad, and everyone can see it, and nobody wants to be around a sad person. She moped her way through the first autumn afternoon as the first red leaves breezed across the streets of the Mish Mash. The beginning of nature’s annual death. In no particular hurry to see the inside of her room again, Karessa cut through Premonition Park, where psychics once held a New Year fortune-telling festival at which they mapped out an incredibly detailed calendar of the year, right down to every sale, breakup, and sporting event (including the winners). The ensuing hysteria and preemptive jealousy-fueled-murders ensured that the festival never happened again, but all the precognitive energy seeped into the soil, and now on the first day of every season, the park jumped ahead to its peak. Snow on the first day of winter, full blossoms the first day of spring. Today, it was the color of sunset. There was a sizeable population enjoying the unique atmosphere of the park, and standing out against the bright leaves was Roland, whose pitch-black skin might as well have been a void in the fabric of space – one that wore a tasteful polo shirt and trousers. He was kneeling down at the base of a tree, inspecting its roots. He did not turn to face the halfling, but he projected into her mind all the same. Good afternoon, Karessa. Happy first of autumn to you. Well, I’m not very good at it. Otherwise it’s not so bad. Roland’s shoulders slumped. You’re very hard on yourself, Karessa. That does remind me, though, I was thinking. I know you’ve been frustrated at theater lately, but what if I was to project the lines into your mind – and your mind only – when you struggled with them? That way nobody would know, and Gwendolyn wouldn’t get mad. It’s not cheating. It’s theater. I can’t act, at least not in the way most humanoids understand the concept, but I can design sets and I can remember lines well. I know you normally can as well, but I can feel you’re going through a tough time right now. I can be your crutch, just for a little while. We all play our roles, on and off set, and our combined talents create one functional whole. It’s what makes theater special. Understood. Still, the option remains. Roland stood up. No, nothing like that. There are these strange eldritch runes popping up all over the Mish Mash. Etched in pillars. Carved into rocks. Painted onto the sides of carriages. Only scaring people, so far as I can tell. But a woman who runs a bakery around here found one in the frosting of a cake, so she hired me to get to the bottom of it. Thank you. I hope your day goes well, Karessa. Karessa kept her eyes on the ground as she walked the remainder of the park. Too many couples enjoying the first day of autumn. Too many people taking pleasure in the season of change. Even the orchestra setting up for their First Falling Leaves concert annoyed her. Change, she had learned, was rarely ever very good. Change brought missing fathers and unwell mothers and cheating boyfriends. Change turned the Suntouched into a grumpy shopkeep and Kelsie into The Claw. Change sucked. As did everything else, quite frankly. She was reflecting on just how awful everything truly was as she climbed the ladder up to her apartment. Karessa was so absorbed in these negative thoughts that she climbed right past the dark, hooded figure perched on the safety railing just outside her door. The figure cleared their throat. “And you didn’t even try?” Karessa snapped. But Teyla was right. She wouldn’t have believed her.